Nakazaki cho, located near Umeda, the center of Osaka city, is a low rise house district that survived the bombings of the WW II and dates from the beginning of the Showa period with some of the buildings being more than one hundred years old. This project proposes a revitalization of the area inviting visitors to its street and creating architectural moments that would bring a new life to the area, not touching or destroying any of the heritage. 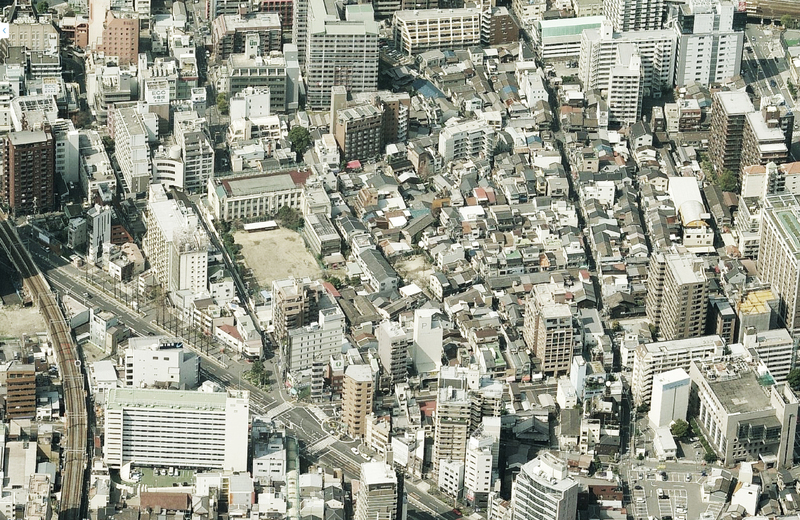 I propose a Palimpsest contrary to the “demolish – build new” way of urban reshaping used in Japan. I propose the preservation of memory and place by blending and connecting the flows of the city from new to old making a progressive passage between time and place.